Linx8 specializes in all sorts of Apple repairs. Services include screen repair, hardware repair and replacement, and all software related issues. We repair all Intel based iMac, MacBook, MacBook Pro, MacBook Air, Mac Mini, and Mac Pro models. We also offer repair services for older machines like PowerBook and iBook models as well. 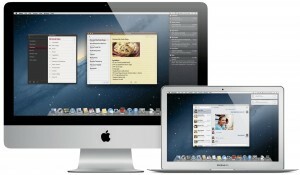 Many repair shops tout Mac repair services, but the difference at Linx8, is that we also USE Mac products in our store. Come in and see for yourself!